Number one ranked and unbeaten Ashland ended Drury’s season with a 74-62 win in the NCAA-II Midwest Regional championship game on Monday night in Ashland, Ohio. The Eagles, the top seed in the regional, ran their record to 34-0 while the second seeded Lady Panthers, ranked fifth nationally, concluded their season at 30-4. 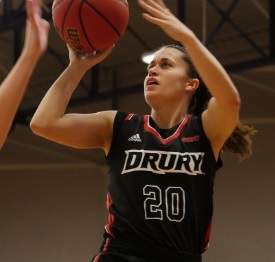 Three Drury players led their offense with 14 points as Heather Harman, Paige Wilson and Hailey Diestelkamp each had 14. 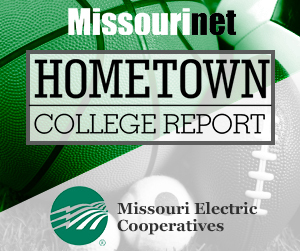 Diestelkamp added nine rebounds and two steals. Monday’s game ended the careers of three seniors, Paige Wilson, Hannah Dressler and Briana Jones. The trio helped Drury to a 109-17 record during their time with the Lady Panthers as well as three NCAA-II national tournament appearances and two Great Lakes Valley Conference titles. Drury’s final record of 30-4 marked their third 30-win season in program history. Their national tournament appearance was their 14th trip to the NCAA-II tournament in their 17-year history and it was Drury’s eighth appearance in the Sweet 16 and regional championship game.